Our homes are our biggest asset. Naturally we all would like to get the highest price as we possibly can, and under the right circumstances, it is possible. A large number of people put their homes on the market and just “wait to see what happens” – this is the wrong attitude. Would you sell your car without washing it and giving it a smarten up? No. Why would you sell your home without cleaning it and giving it a small refurbishment? It’s important to get your home looking ship-shape before you even begin thinking about putting it on the market. 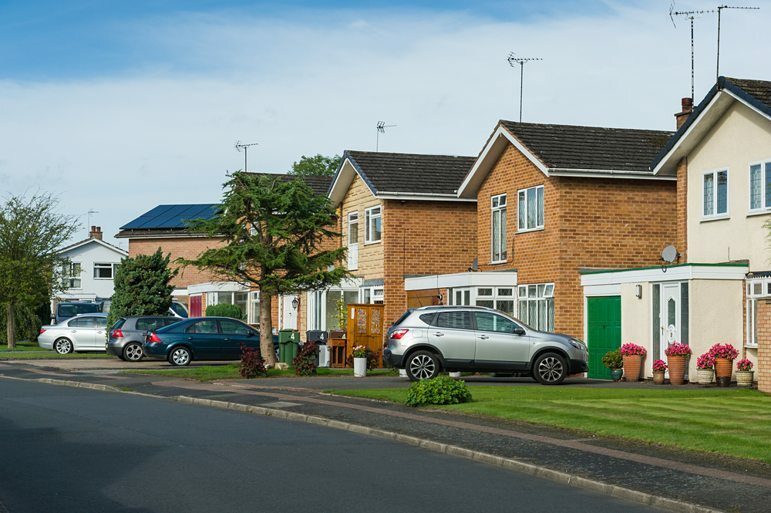 Kerb appeal is highly important to homebuyers. If your home looks visibly pleasing and the exterior looks attractive, the chances are house buyers will find your house appealing and want to see what is inside, drawing attention from buyers, and sellers alike. According to home experts Rightmove, selling your home “is all about property presentation”. The front door to your home might not seem important to you, but to a potential buyer it is. According to online property site Tepilo, your front door is a key part of your sales pitch and how fast it sells. Depending on how old your door is, or its condition, replacing it entirely may be worthwhile. Although, if you can’t afford to buy a new one, a quick repaint or power wash will help to give it a shiny eye-catching and welcoming gloss. 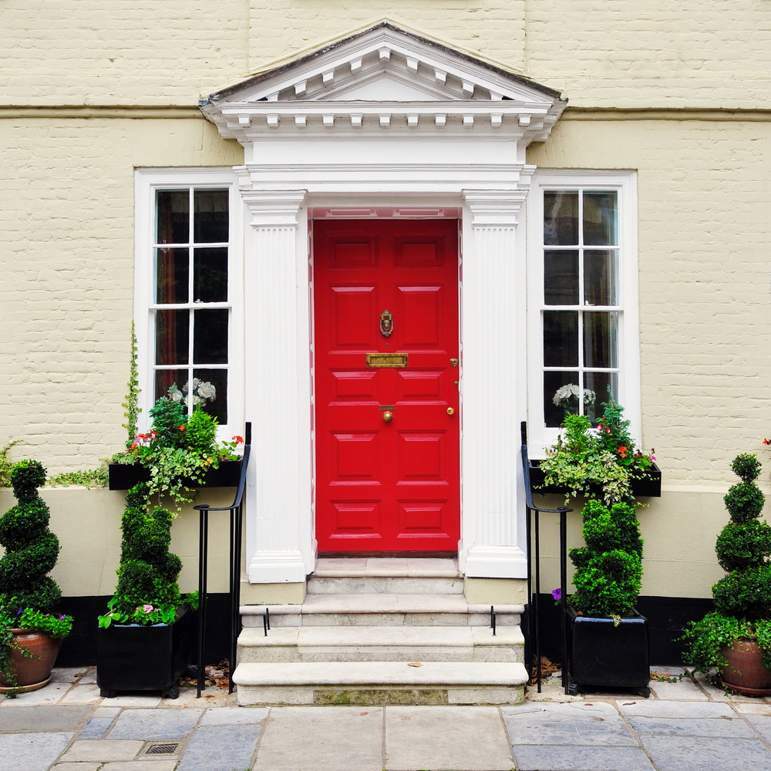 Research by New Home Finder indicates that those residing behind a red door are some of the most welcoming and hospitable people. Additionally, update any outside lighting to brighten up your exterior, and add some potted plants or hanging baskets to intensify the kerb appeal and allure. The secret to modernising and upgrading a room can be used by just one simple item: paint. Repainting your home is an easy way to revamp without having to invest a large amount of time and money into your home. The key is spending as little as you can, and producing a large profit. A simple lick of paint can completely transform a home from tired and dated to fresh and modern and make your house appealing. In an ideal world, walls would be painted every five years (at least). If your home has not been painted for longer than this, it is highly advisable to paint the walls, especially if you have children or pets. A study by Satsuma Loans, which spoke to almost 2,000 people, identified old boilers and radiators are the main features which could knock the most off a seller's asking price. Results show that the average buyer said they would offer almost £750 less for a home if it was being sold with an old boiler in situ. The entrance hall is the first room your viewers will set eyes on, therefore first impressions are vital to selling your house fast. 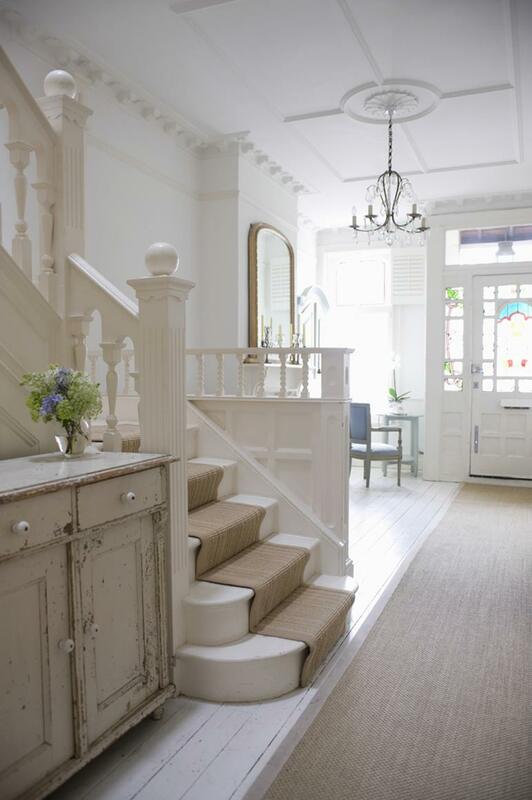 It is sensible to paint your entrance in a neutral colour scheme to make it light and fresh, whilst adding any colour through accessories such as flowers, hanging pictures and decorative pieces. Remove any bulky furniture to make the area look as large as possible. Remove all clutter and clear out any unwanted items throughout your home. This can make rooms look too busy and cramped, giving the illusion of a smaller space. Homebuyers need to be able to envisage what the property would look like if they were living there. People often find this difficult, so make it easy for them to see the fantastic living space you’re offering them. Get rid of any excess furniture by putting it into a storage house, or a friend’s spare room, whilst taking pictures and house viewings. It is imperative each room appears as it is intended to be used in family life, in order to give vendors a chance to visualise themselves living in your home. Imagine the mindset of a potential buyer of a three-bedroom house seeing two bedrooms plus a storage room – they may question whether the house has two bedrooms, instead of three. According to a survey by Big Yellow Self Storage, each square foot of floor space freed up is estimated to be worth an average of £238 and removing bulky items can push the sale price up by as much as 11%. The first thing people will see when you show them the rear of your property – out of a window or French doors – is the garden. Will an unkempt garden greet them? 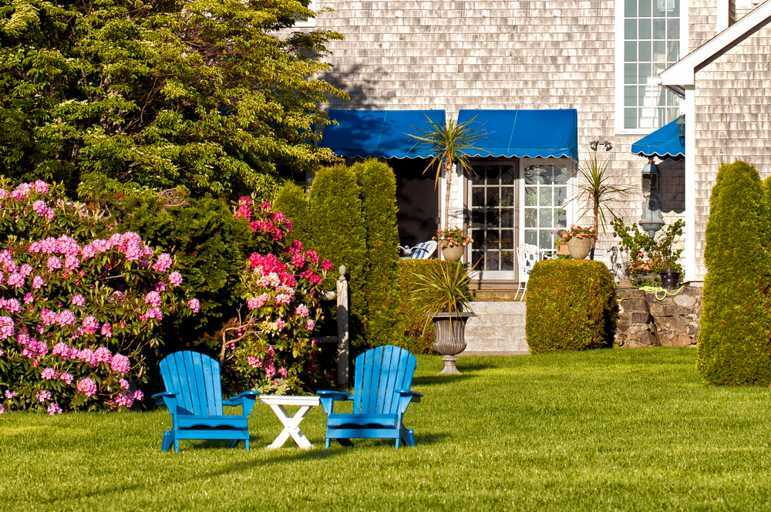 Cut any overgrown bushes and trees, clean your patio furniture and cut the grass to create an inviting space for relaxing and entertaining friends and family. According to NAEA Propertymark, certain buyers, in particular young professionals and families with young kids, will place a lot of importance on good garden space, so getting yours in tip-top shape is always a clever move and will make your house appealing to buyers. It is proven that it makes your property more likely to sell fast as people can easily visualise themselves living in your home. If your garden is sparse, it may be wise to buy some inexpensive patio furniture, plant some bright flowers and place some potted plants to create a ‘lived in’ family space. Good landscaping will help transform the exterior of your home, henceforth, creating a higher bid for your home (which we all want). It may be worth hiring a landscaper to do this. Think about installing some outdoor lighting to tie it all together – a cost effective fix could be fairy lights. A clean home will instantly become more attractive to potential homebuyers, instantly creating a fresh, warm and homely environment. Despite the fact many people may like the popular ‘Shabby Chic’ interior design style, shabby looking homes will not do. Make any minor repairs that are necessary to sell your house fast, such as holes, broken door knobs, cracked tiles and marks on the walls to make your house appealing. Tackle one room at a time. Make time available to thoroughly hoover and dust from top to bottom (and paint if needs be), to create the illusion of a contemporary abode. Tiny details, such as these, can help boost the financial value of your home, according to Barclays Mortgages. Bad aromas are the single biggest turn off for prospective house buyers. Don’t just cover up the smells before buyers arrive, fix the problem. Ensure you clean the drains, empty the bins, open the windows, rid the home of cooking smells, clean the air of cigarette smoke and wash all curtains that may be retaining smells. Once the source is treated, introduce ‘good’ smells into your property. 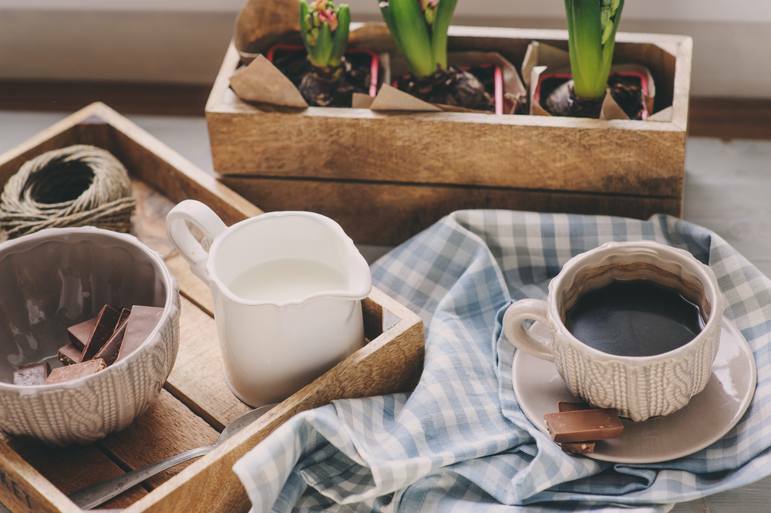 Think about introducing natural-smelling air fresheners around the home, and perhaps even brew some fresh coffee – a smell 36% of people, in a survey, said appealed to them whilst viewing a property. Pets – a controversial subject when trying to sell your house. Pet lovers are likely to pay more attention to your pet than your home and pet haters will feel uncomfortable in your home and may rush the viewing and leave as soon as possible. If your viewers are allergic to animals, it will most certainly put them off the house altogether. Consequently, the best way to cover all bases, and make your house appealing to all buyers, is to remove them from the equation altogether whilst there is a potential house buyer viewing your home. Remove all pet bowls, cages, litter trays and toys to give the viewers no indication of any pets living inside your home. Ask someone to look after your pet, or take it for a walk whilst viewings are taking place. It’s typical to concentrate solely on your house when selling, but it is important to not forget about the local area and community. The surrounding neighbourhood is just as important for homebuyers, and learning about what the area is like to live in is especially valuable for those who may not live nearby. To promote your neighbourhood, you could prepare a file on the local area for potential buyers – it may help them make a quicker decision to purchase your home.